COMMENT: Mr. Armstrong; You said that China would eventually send troops to the Middle East and join with Russia in Syria. China just openly told that to the newspapers. Your contacts behind the curtail are quite amazing. REPLY: Qi Qianjin was appointed the ambassador to Syria back in 2016. 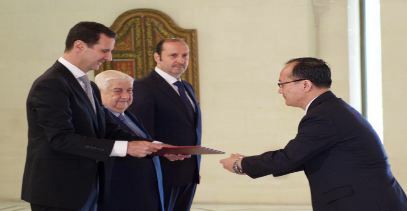 You are correct, on August 1st, 2018, the Chinese ambassador to Damascus, Qi Qianjin, told pro-government Syrian newspaper Al Watan that the Chinese military was ready to join Idlib in the upcoming military operation. 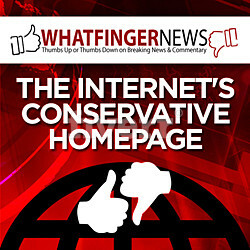 This has been widely reportedin the Middle East. China has NEVER been engaged in war sending its troops outside of its claimed territory. 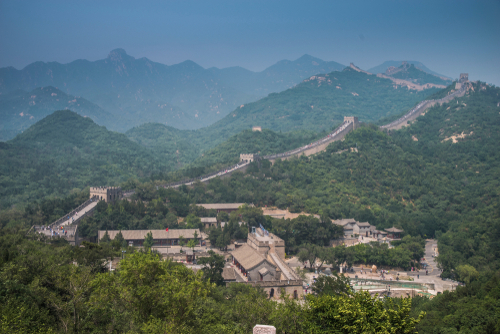 It is important to understand that China has always been invaded and hence that was the very reason behind constructing the Chinese Wall – to keep other out. Qianjin confirmed that China was entering a positive military cooperation with Syria in the region under counter-terrorism. It is Syria who is fighting against the ISIS terrorists. The witch-hunt against Russia by those in Congress has been setting the stage for world war led by the Democrats. This really has to stop and the mid-term elections will see the Democrats out to take the Congress at all costs and they have become the part of anti-Russia. Socialists always want to conquer the world and force others to comply with their demands. 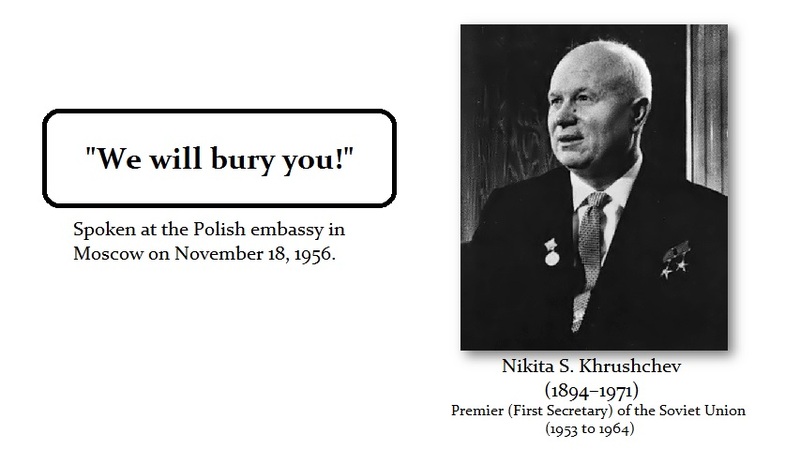 It may have been Khrushchev who boasted that Communism would defeat Capitalism when he said “We will bury you“, but today this is rapidly becoming the slogan of the Democrats for the upcoming Mid-Term Elections. It is simply the nature of socialism to suppress others. That is its central proposition. China is by no means a socialist state any longer. The United States military and intelligence establishment refuse to surrender their philosophies of us v them. War has changed. There is no longer a thirst to conquer the world and occupy it. Both Russia and China abandoned Marxism. We are left fighting that philosophy in the West both in the United States and in Europe. It is the battle cry of the Democrats and it will be the main focus come November. You will think the USA is Marxist. There is no need for war today. But without demonizing Russia and China, then the military establishment is no longer needed. Why is NATO necessary if Russia no longer desires to bury capitalism? Most people refuse to acknowledge that Ukraine was the origin of Russia. Kiev was the capital of the Rus. They were conquered and destroyed by the Mongols. 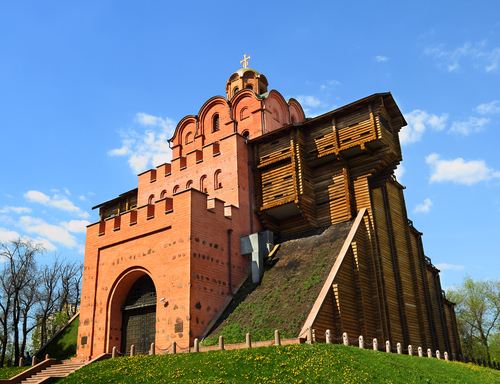 All that stands in Kiev is the Golden Gate of the original capital of the Rus (Russia). After the decline of the Mongols, then the Rus reestablished their capital at Moscow. The Eastern half of Ukraine speaks Russian, not Ukrainian as is the case in Crimea. To solve the crisis, Russia should allow an election that is run by the UN and you will see that Russian speaking people will prefer to be part of Russia, not Ukraine. Stalin killed millions of Ukrainians and there will always be that resentment. Part of the revolution was driven by the fact that Yanukovich was really Russian and could not speak proper Ukrainian. That was at the center of the people rising up to overthrow him – not the CIA who then came in to manipulate who would follow him, but not to begin the revolution. It is the military and intelligence establishment that want war. It is the very reason for their existence. They have succeeded in confronting China and they keep waking up at night because of their dream of glory. It should not be surprising that China is entering the Middle East.